Project Management in the Transmission Project Delivery organization within Southern California Edison (SCE)’s Transmission & Distribution Business Unit (TDBU). 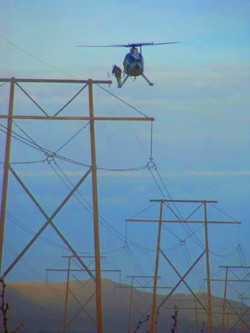 Managed the construction of multi-million dollar Transmission capital projects installed by contractors. Managed contract construction and material expediting teams. Lead in developing the initiation phase of construction projects. Establish scheduling/procurement processes, contractor qualifications, and interface with Engineering & Technical Services, Project Management Organization (PMO), Transmission Engineering and Environmental Health & Safety in support of these projects. A liaison with other utilities (i.e. LADWP, PG&E,FP&L) when Bulk Power crossings are part of the project. Instrumental in the development of construction specifications for Requests for Proposals (RFPs), technically evaluate line construction bid proposals and recommend awards. Provides independent oversight of construction inspection when utilizing owner agents, and managed the QA/QC program. 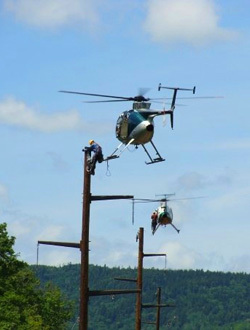 Qualified in climbing wood poles and steel structures. Qualified to work in transmission and distribution substations and facilities. Qualified to work in electrical vaults. Maintenance and construction in microwave and cellular antenna sites. Experience in construction management, with combination of education, training and experience. 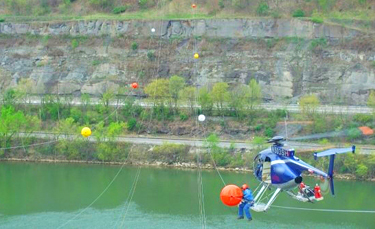 Experience/knowledge in transmission work methods, equipment, tools, materials, and vehicles. Demonstrated experience with rules, regulations and regulatory requirements governing transmission line construction, maintenance and operations (such as G.O. 95, 128, 165C, 131D, Rule 20B & Rule 20C). Experience/knowledge in transmission power systems and operations, transmission design/planning policies and procedures, and construction/maintenance/operations methods and understanding of safe work practices. Knowledge of construction management and project management principles. Experience using Microsoft Word, Excel, PowerPoint and Access. Ability to integrate work across relevant areas, develop the business and services to enhance customer satisfaction and productivity, manage risks and safety appropriately, develop and execute business plans, manage information, and provide exceptional service to internal and external customers. Experience in effective resource and project planning, decision making, results delivery, team building, and the ability to stay current with relevant technology and innovation.